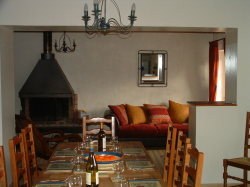 Maison Soleil is set amongst lovely countryside in the heart of the Dordogne region of France. 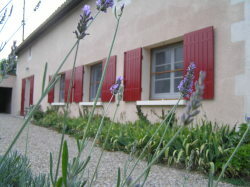 Close to St Emilion, Bergerac and Duras you will find all the tourist attractions of the area within easy travelling distance or you can just sit back, relax and enjoy the sunshine in your own private and secluded garden. 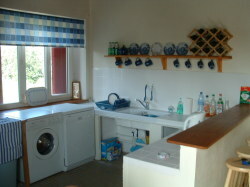 There is an American style kitchen with fridge-freezer, dishwasher, microwave, cooker and washing machine. The beamed dining room has a large farmhouse table and the lounge is perfect for just reading a book or relaxing with your feet up. Also, a separate Games/TV room with Satellite TV(with 20+ English stations), a PS2, DVD/Video player, Radio/CD and double sofa-bed. Lots of books and PS2 Games, Videos/DVDs and a number of board games. The 4 bedrooms are well furnished and there are electric radiators and a wood burning stove making the house suitable for rental all year round. If you need to keep the children entertained, there is a 3 metre splash pool, full size table tennis table, Dart Board, Badmington set Boules and croquet and 4 bicycles. Right outside there are many country lanes for easy cycling down by the River. For children and adults too, Horse riding, canoeing or tennis are only minutes away. There are Golf courses within easy reach and one is less than half an hour away. The private garden has a patio with table and chairs and a BBQ for alfresco dining. In between,relax on the sun loungers and soak up the summer sun. Our letting Manager will be there to meet you on arrival and show you where eveything is. A Welcome Pack plus complementary local Wine will ease your way into a stress free holiday. Fresh bread and croissants are availabe in the shop(0.5km) and the main supermarkets are 10 minutes away. Local market in Ste Foy La Grande (10km).